I am pleased to announce that DNN 7.4.2 Beta has been released. DNN 7.4.2 is almost complete and we are just doing some cleanup and testing before our planned September release. We currently going through some performance testing and will likely include a couple more fixes before our final release. In the meantime, we thought it would be good to give the community a chance to take a look at the 7.4.2 release and let us know if there are any show stopping issues we might have missed. 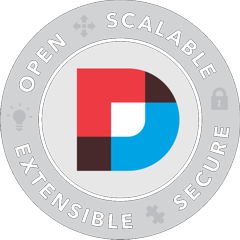 One big change that we were able to get into this 7.4.2 build is a feature we developed for DNN 8 which allows us to support incremental upgrades of the same version. What that means is that if you install the 7.4.2 Beta, we now have a way to ensure that you can still upgrade to the final release when it comes out. So if you feel like living on the bleeding edge, then you can install this Beta on a production server and know that when the final version comes out that you still have a path forward. Like all releases, I definitely recommend that you take a backup of any site you upgrade before applying the release. You can download the 7.4.2 Beta on CodePlex. Great Work, Thank you by your effort. Hi Joe, the release/7.4.2-beta branch on GitHub seems to be missing. There is only a release/7.4.2 branch. For 7.2.0 there are separated branches for 7.2.0 and 7.2.0-beta. Thanks for your work and effort that you put into 7.4.2. We didn't create a separate branch for the beta this cycle. We really only create a branch when we need time to stabilize it while we continue working on the main release branch. If we think the branch is already stable enough, then we'll just use the development branch. I will however, go back and add a release label so it is easy to find in GitHub. Will we be able to style the [PAGER] tag?